1010 Midtown stands 35 stories high and is situated in Atlanta’s vibrant, and highly desirable Midtown neighborhood. Inside, 1010 Midtown houses 425 fabulous condominium residences and roughly 38,000 square feet of retail and dining space that mainly occupy the building’s ground level. 1010 Midtown condos for sale are incredibly stylish, and the building’s location between 11th and 12th streets provides residents and condo owners with a close proximity to call sorts of shopping, dining, and other community amenities. It’s also a building that’s famous for its “park-in-the-sky,” which is dubbed one of the largest eco-friendly green rooftops in all of Atlanta. 1010 Midtown was originally designed by renowned architecture firm Rule Joy Trammell + Rubio with construction beginning back in August of 2006. Once finished in early 2009, 1010 Midtown firmly established itself as one of Midtown’s hottest places to call home. 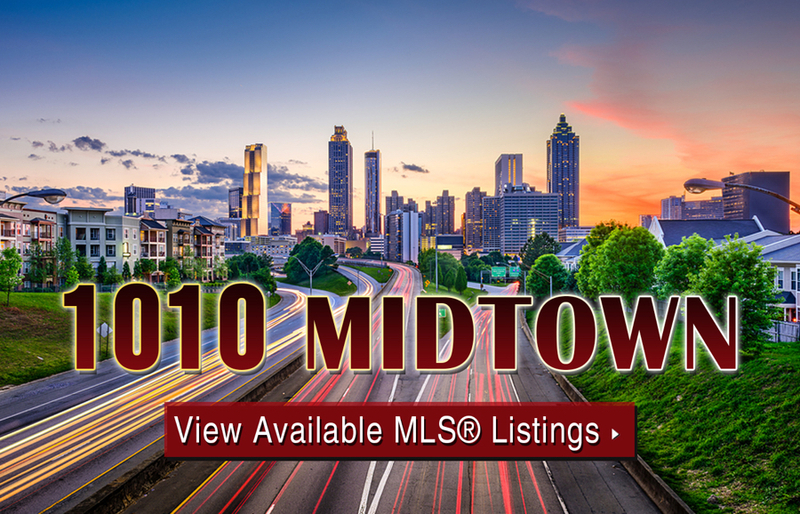 If you’d like more information about 1010 Midtown condos for sale in Atlanta, call us today at (404) 564-7272, or click below to start browsing active listings at this amazing Midtown condo development. Listed below are recently closed sales at 1010 Midtown. Whether you’re thinking about buying or selling a unit at 1010 Midtown, checking to see what other comparable properties have sold for in recent weeks and months provides helpful insight into current market conditions for the building. For more information about 1010 Midtown condos for sale or for a complete list of recent condos sold in the neighborhood, contact The Zac Team today! Can’t find what you’re looking for at 1010 Midtown Atlanta? Start browsing other Midtown real estate for sale or give the Zac Team a call at (404) 564-7200 for help with your new home or condo search today!